Alolan Exeggutor Grass Dragon is a Raid Boss in Pokemon Go. It has been a Tier 2 and Tier 4, having a Raid Boss CP of 13472 CP and 27501 CP respectively. In-game it has the following stats: a Max CP of 3014, an Attack of 230, a Defense of 153, and a Stamina of 216. 2055 – 2153 CP in Windy and Sunny weather for weather boosts. A-Exeggutor is a relatively easy boss as either a Tier 2 or Tier 4. As a Tier 2 Raid Boss, it is a incredibly easy solo in nearly any condition, with nearly any counter. If you have any counters over level 20, then you can almost for sure solo a Alolan Exeggutor. As a Tier 4 Raid Boss, it takes a minimum of 2 players to take down Alolan Exeggutor. It is a relatively easy duo in terms of Tier 4 Raid Bosses, being much easier than Tyranitar, but being slightly harder than Absol. For high level players, your recommended group size would be 2-5 players, with lower level players being able to take an Alolan Exeggutor down with anywhere from 6-20 players. Until Mamoswine gets introduced into the game, Weavile is currently your best Ice type attacker, which makes it one of the best counters against Alolan Exeggutor, a raid boss that happens to have a double weakness (1.96x damage) to Ice types. Mewtwo is one of the best counters when its moves are relevant to the fight, and ever since it got access to Ice Beam, Thunderbolt, and Flamethrower, it became relevant in many more scenarios than before. This is just one of them, being only seconds behind Weavile, but with less faints overall. The genetic Pokémon takes no prisoners and shows its superiority! Jynx is quickly losing its relevance in the face of several prominent Ice attackers (and Mewtwo), but for those that have it powered up, it will still put up a fight. Jynx is a glass cannon, more so than even Weavile, but it will make a effective lead. The first non-Ice type to appear among neutral weather counters, it is no surprise that when something is weak to Dragon typing, Rayquaza will descend from the ozone layer and take care of business. Rayquaza may suffer when A-Exeggutor has Dragon Tail and Dragon Pulse, but in all other instances it will both deal damage and stick around in the fight for a considerable amount of time. Both Dragonite and Salamence are about the same and could see equal usage on any team. Salamence has seen a boost due to the stat rework giving it enough bulk to fire off more than one Draco Meteor, but it is still relatively frail compared to Dragonite, that also has a better move in Outrage and enough bulk to tank Alolan-Exeggutor’s potential Dragon type moves. Bullet Seed Grass and Dragon Tail Dragon for Fast Moves. Solar Beam Grass, Seed Bomb Grass, and Dragon Pulse Dragon for Charge Moves. The time to win for these counters are much worse off than those listed above, however these counters are also serviceable, and might prove useful in large groups. Additionally, those with legacy or event-exclusive moves are in most cases only useful with those moves, if you do not have them with these rare moves, their usage will drop significantly. A-Exeggutor will be boosted by Windy and Sunny weather, while being more vulnerable in Rainy, Cloudy, Snow, Windy, and Sunny weather. Sunny Allows a Level 25 Encounter from Weather Boost. Boosts A-Exeggutor’s Bullet Seed, Seed Bomb, and Solar Beam. 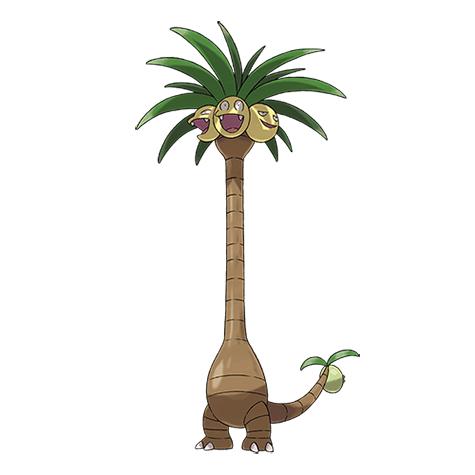 The post Alola Exeggutor Raid Guide (Tier 4) appeared first on Pokemon GO Hub.